Hard work and dedication has meant that you have built up a sound business for the benefit of you and your family and naturally you want to ensure that your loved ones are provided for in the event of your death or ill health. So, what if the worst should happen and either you, or a business partner were to die or suffer a serious illness, such as a Cancer? Do you know who would actually be entitled to your share of your business? Without a valid Will, the deceased’s share would be subject to the Laws of Intestacy and the person who inherits may not be the person you intended. Would you or your business partner be content to run your business with their surviving spouse or their Beneficiaries? This could have a major impact on the running of the business, or the value of the business may now go down following the death of such a key person. Your spouse/partner and children may not inherit your share of a business. Business partners may not have the funds to buy out the deceased’s share. The surviving spouse or children may be obliged to take over the running of the business. The business may have to be sold and the proceeds become liable to IHT. Please note that the Financial Conduct Authority do not do not regulate some forms of Trust products and services. 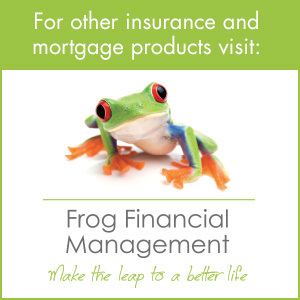 These services are provided by our sister companies Frog Financial Management. Safeguarding your business during your lifetime and for future generations, will ensure your loved ones are provided for in the way that you wish. Let us first assume that you have made a Will and that there is a clause in the Will dealing with business assets in favour of your spouse or partner and that they inherit the family business or your share of a business. Would they even want to be involved with the running of the business? Many spouses would probably not want to be burdened with the running of a business they may know very little about. For instance, if there are young children to care and provide for, then the surviving spouse might prefer to be bought out. Would there be sufficient funds to purchase the share of deceased Director from their family? Or would the business have to be sold? If the business is sold by the deceased’s Beneficiaries, how would this impact on their Estate, as their assets increase? Also, how would it affect the surviving business partner’s assets, as these too increase? Both parties’ Estates could be impacted by future IHT charges, having now lost any Business Property Relief, previously available whilst the company was still trading. With the sale of the business in this way, you risk losing 40% of the cash proceeds to the tax man. Each Director leaves their share of the Business to their Beneficiaries via their Will. Beneficiaries will now own part of the company which they may not want to run. Share of company is now part of Beneficiaries’ Estates and therefore is at risk from divorce, remarriage, bankruptcy and long term care. If Beneficiaries decide to sell the business the proceeds will enter their Estates creating a potential IHT liability on their death. May not want to run company in partnership with Director A’s Beneficiaries. May not have the funds to buy out Director A’s share of the business. Note: The effects of the above problems would increase considerably if the company share is a minority holding. Perhaps you have made some provision for this eventuality. You may feel that you have prepared for the worst and taken out sufficient Life Cover to protect all parties’ shares of the business. You may even have had the presence of mind to set up a Company Will and a Cross Option Agreement. This would ensure that the surviving business partner(s) has the right to buy out the deceased’s share of the business and the proceeds of the life assurance policy could be paid to the surviving spouse or Beneficiaries in exchange for their inherited share of the business. Equally, the surviving spouse or Beneficiaries would be able to exercise their right to sell their share of the business to the remaining business partner(s), in exchange for either the market value or an agreed amount, covered by a life assurance policy. Please note, the Financial Conduct Authority do not do not regulate some forms of Trust products and services. London Help to Buy: to reflect the current property prices in London, from early 2016 the Government increased the Help to Buy: Equity Loan scheme’s upper loan limit from 20% to 40% for buyers in all London boroughs. You won’t be charged loan fees on the 20% or 40% loan for the first five years of owning your home. WHY HESITATE, GET IN TOUCH WITH US TODAY? Frog Wealth Management have pledged to donate £15 every time our clients use our services.